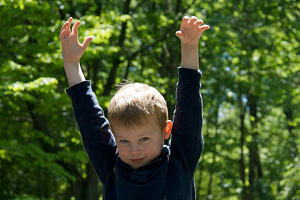 The camera in the iPhone 3GS has improved close-up capabilities, tap focus, and more resolution than previous models. 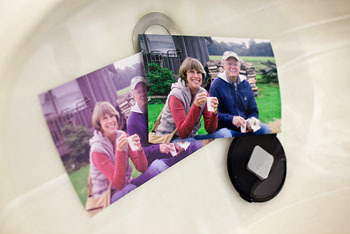 You can use the 3GS to photograph small objects, business cards, even duplicate 4" x 6" prints. With this DIY copy stand that's easy to make, you can produce high quality images with just a couple taps on its screen. If you've ever tried close-up work with the iPhone, you know you have two challenges. The first is holding the camera steady enough to avoid camera shake. The second is getting the plane of the camera parallel to the plane of the subject to avoid distortion. This little device helps with both, plus diffuses the light for a more flattering rendering. I have step-by-step photos showing the key elements of this project on The Digital Story Flickr page. In short, it works like this. You remove the tray from the iPhone packaging, drill a hole in it for the lens to see through, cut an opening in the bottom of a translucent box to set the tray in, and you're done. It's really that simple. I recommend that you start with a box that's at least 6" tall. That will give you enough distance to copy 4" x 6" prints. You can use "risers" such a little boxes to photograph smaller items that need more magnification. Here's a short instructional video that provides a nice overview. Please feel free to add your comments, improvements, or variations on this project. The iPhone 3GS is a handy little camera, and I want to squeeze every ounce of capability out of it. There was a time when photographers would no more consider buying a multifunctional printer than they would go on vacation with only a 64 MB memory card. But technology marches on, and today I have not one, but two "all-in-one" printers that tout excellent photo printing abilities. Behind door number one stands the HP C6380 All-in-One (left), and behind door number two challenges the Kodak ESP 7 All-in-One (right). So who should consider an all-in-one for light office and photo output? I'd say amateur photographers who don't want to mess with ICC profiles (let the printer choose the settings), who don't need photos bigger than letter size, and who don't print more than 500 images a year. If you fall into that category, you should read on. 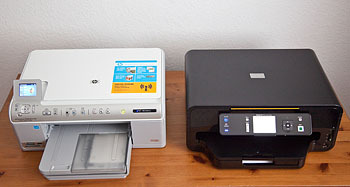 Both the HP and the Kodak are light to carry, have footprints that will fit on a dinner placemat, and provide printing, scanning, copying, and WiFi connectivity. Each printer has two paper trays: bottom for letter size output (plain paper or photo stock) and top for photo snapshots. Even though these printers are Mac and Windows friendly and come with good software, you can go for days without using a computer with them. That's because most functions can be controlled via their respective LCD panels, and they both accept USB Flash drives and standard camera memory cards. 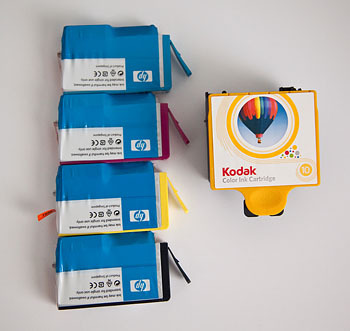 Once difference you'll notice is that the HP has four individual photo ink cartridges while the Kodak uses a single photo ink unit. (See the illustration above for a comparison; HP individual cartridges on the left.) Each retails for around $199 US, but until June 28th, the HP is on sale for $149.99 (via the HP web site. Unpacking and setting up both printers is easy. I averaged 30 minutes for each, and that included connecting them to my WiFi network. Neither include USB cables, so if you don't go wireless, make sure you have a cable available. Both devices are handsome in their own way, enhanced by colorful LCDs that presented me with easy to understand menus. I never had a problem navigating either device. One thing you should note, however, is that both printers are fairly noisy, with the HP spending more time grinding its gears. I would say these are definitely office printers, with hopefully, no one trying to sleep in the same room. There's been some talking back and forth between HP and Kodak about how much it costs to print with their machines. I'll address that, but it's just as important to me how they perform. So I've put together a small battery of torture tests to see if either printer is worthy of residing in the office of a the hobbyist photographer. I was careful to conduct the tests fairly, using the same originals and a stop watch for timing, with each unit set to "out of the box" automatic settings. This review is geared toward photo enthusiasts who are considering an all-in-one printer for their home office. Since I happen to be an enthusiast myself, I devised tests that were interesting to me, providing information that I would want to know about costs, output performance, image quality, and paper durability. If you're not a photographer and these issues aren't as important to you, then you might want to check out other reviews of these devices. Since these are multifunctional machines, we should take a look at copying and scanning. Each device has a letter-sized scanner on top that can be used for black & white or color business copies. In the paper tray, I used Staples Inkjet Paper (letter size, 24 lb, 98 bright). Here's the first battery of tests. The times listed are how long each printer took to complete the task. HP - 1:55.7 -- Kodak - 1:57.2. Both printers did a good job of producing clean B&W copies in reasonably fast time. Edge: This one's a tie. HP - 3:03.9 -- Kodak - 2:37.3. The HP spent some time going through a printer preparation cycle before beginning job, but its quality was noticeably better on plain paper, especially in the reds and with detail reproduction. The Kodak was a bit faster, but print quality was acceptable at best. Reds lacked saturation and detail. Edge: HP 6380. HP - 00:27.9 -- Kodak - 00:50.3. The HP saves the scanned document as a Jpeg and wrote it to a USB Flash drive. I converted it to PDF using Preview on a Mac. I would have preferred to skip the conversion step and have the HP save to PDF. The Kodak, however, did not have the option to save to USB Flash drive, so I chose save to my Mac wirelessly. That didn't work. 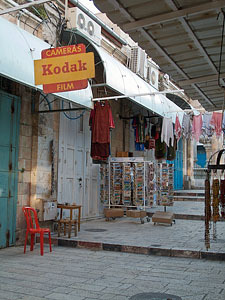 The Kodak constantly hung on the job. So I tried the other option of saving to memory card, and that worked like a champ. The output from the Kodak was also a Jpeg, and it had more saturated colors, but with some artifacts. The HP colors were more muted, and there were no artifacts. Plus, the HP saved the Jpeg file at 300 ppi to Kodak's 72 ppi. Edge: HP6380. Now, here's where it gets a bit more interesting for me. 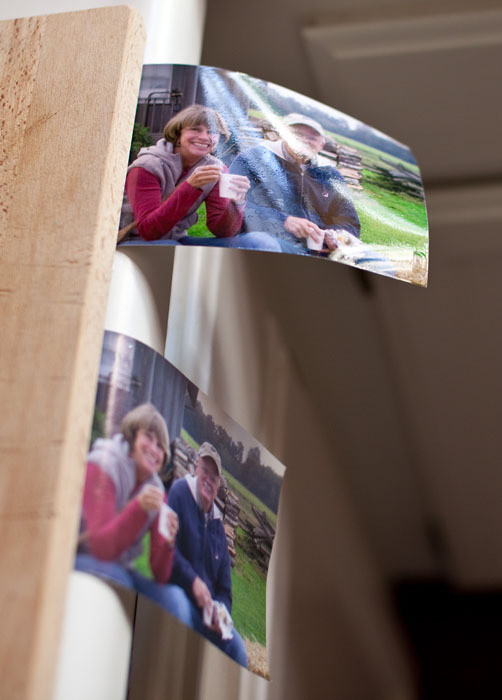 Two companies pitted against one another, both take a lot of pride in their photo printing. Snapshot Reprint Test (4x6 color photo placed on scanner glass and reproduced to 4x6 color output - 1 print -- all settings were on automatic, no computer involved.) Note: I used HP ink and paper designed for the C6380 and Kodak ink and paper designed for the ESP 7. For more on that, see the "Dunking the Prints" section below. HP - 1:13:4 -- Kodak - 1:15.9. HP print quality was excellent, color reproduction was near perfect, great contrast. The Kodak print displayed a moderate purple shift on blues, less contrast, average detail reproduction. Edge: HP C6380. HP - 1:16.9 -- Kodak - 51.4. HP had better contrast, excellent color fidelity Kodak output had less contrast, slight color shift. Edge: Another Tie (HP gets slight nod for output quality; Kodak printed faster). HP - 1:12.9 -- Kodak - 2:07:0. Both output had noticeable color shift and neither print was acceptable. Edge: neither. The final set of tests were the most demanding of them all. These were designed to see how output from these printers will hold up under adverse conditions. First, I started with the dunk test, where 4" x 6" prints were immersed in water for 10 minutes. Then I hung them off the edge of the counter for the droop test. And finally I let the prints air dry for the curl test. After making prints from the same file, I immersed them in water for 10 minutes. For the HP prints, I used the HP 564 Series Photo Value Pack-150 sht/4 x 6 in that lists for $34.99 US includes enough ink and paper to make 150 4" x 6" prints (which works out to a little over 23 cents a print). For the Kodak images I used the KODAK Premium Photo Value Pack that's selling for $19.99 US and provides ink and paper to make 135 4" x 6" prints (which works out to be about 15 cents a print). As you can see in the third illustration (Kodak print on the left, HP print on the right), the Kodak paper absorbed water and the the image colors shifted. Edge: HP C6380. After the prints were soaked in water, I hung them off the edge of the counter. The Kodak print (on the bottom) drooped nearly all the way down to the side of the counter. The HP print (top) still had decent resistance to gravity. Edge: HP C6380. The "Kodak Advantage" vs HP's "Lab Quality"
On their web site, Kodak states "All KODAK Inkjet Photo Papers are porous. That means they dry instantly, so you can go from picture to print in seconds. Plus, our papers absorb inks faster, so your pictures won't smear or smudge." If I read this correctly then, the Kodak papers didn't fare well in my Dunk, Droop, and Curl tests by design. HP, on the other hand, likes to use the term, "lab quality" for their prints, and their materials have a very different feel, again by design. The price difference per print is about 8 cents using these materials, with Kodak providing the cost savings. If you printed 300 4" x 6" snapshots a year (25 prints a month), then using these Kodak supplies, you would save $24 a year. If you upgraded your Kodak materials to the Ultra Premium Photo Paper, then your per print cost would go up to over 40 cents a print, and the cost savings then would be in HP's favor. So it seems to me that when you compare Kodak and HP using these devices for primarily photo output, you get what you pay for. HP's prints do feel and look like prints from a traditional photo lab. They're very durable and will hold up well to handling. Kodak Premium paper costs less, and if you're not as picky about color fidelity and contrast, and don't mind a more porous paper, then you can save a few bucks using the KODAK Premium Photo Value Pack in the ESP 7. When you compare the HP C6380 All-in-One to the Kodak ESP 7 All-in-One from a photography point of view, it really comes down to your priorities. Both units do what they're designed to do and look going doing it. But the photo output is quite different between them. Personally, I lean toward the HP C6380 because I do like those lab quality prints. And at 23 cents each, they seem like a great value. Plus, the scanning unit in the C6380 produced cleaner images with fewer artifacts. And regardless of which printer you use, make sure you spend a little time learning all of its features. Both the C6380 and the ESP 7 include a lot of capability for the dollar. The new Creative Output section of The Digital Story was created to inspire photographers to find new ways to share their images with others. I sometimes refer to this process as, "going beyond the print." I brought in a true expert in this field, Stephanie Scheetz, to oversee this endeavor. 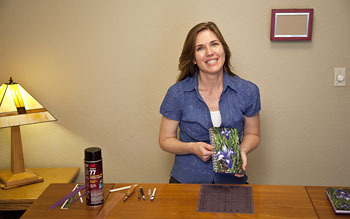 Stephanie has been a craft designer and instructor for major craft companies for more than 15 years. She has taught classes throughout the U.S. and Asia, and has appeared on TV craft shows and home shopping programs in the U.S. and U.K. Her work can be found in craft industry and consumer magazines, in addition to, catalogs, advertisements, and books.Â In addition to that, Stephanie is an engaging personality. So she and I sat down in front of the microphone this week to talk about her views on Creative Output and to give you a preview of the types of projects she's working on. You'll come away from the show with great ideas, and hopefully get to know Stephanie a little better. Splash is the June 2009 Photo Assignment. You can capture anything from a child jumping in a pool to an olive dropping into a martini. You can read more about how to submit on our Submissions page. 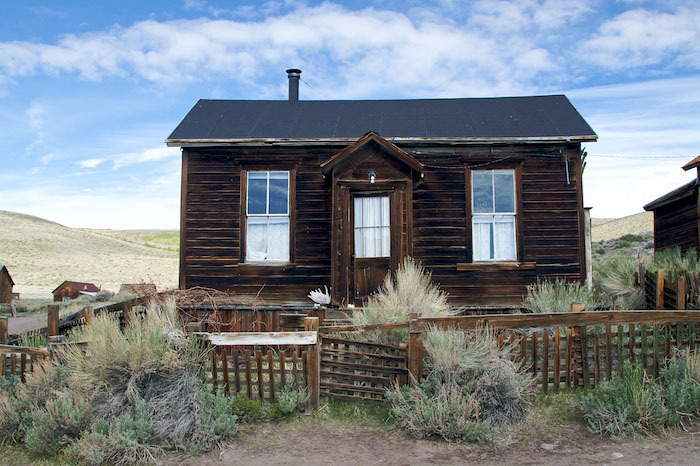 Deadline for entry is June 30, 2009. 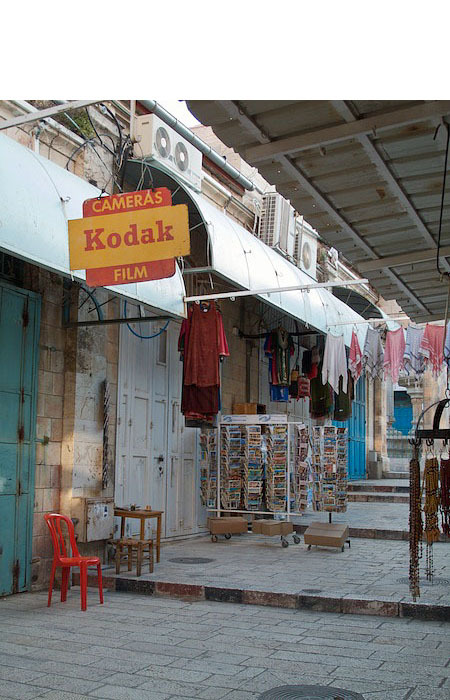 "Thought I'd submit this shot from Jerusalem's Old City," writes Roderick James. "The sign didn't look out of place in this old market, but seemed jarring in our digital world -- especially since I grabbed this image with my Canon G10." Roderick set his G10 to ISO 80, 1/80th at f/3.2 for this trip down memory lane. Photo by Roderick James. Click on image to zoom to larger size. Capturing, trimming, and sharing video with the new iPhone 3G S is literally a snap. After a bit of testing, the easiest way to share is directly from the device itself. So if you're tempted to transfer the video to your computer and monkey around with it, you might want to resist. See my examples below for more on that. The iPhone 3G S records SD video (640x480) and saves it in the H.264 format. The frame rate when I was playing it back on my MacBook was an odd 17 fps (but as some readers pointed out, that was probably because I was recording in low light. Outside I should get a full 30 fps). One minute of video will create an approximate 26 MB file size. The audio is captured with the onboard iPhone mic and saved AAC mono at 44.100 kHz. Once you capture the video, you can trim it right there on the iPhone by dragging the handles on the timeline, then hitting the Trim button. I recommend that you watch the area you have selected before hitting Trim. I haven't found an "Undo" command yet for hasty edits. But trimming is very easy and fun on the device. And after some testing, I think it's the best place to make these edits. You can share the video by emailing it from the iPhone, sending to MobileMe, or uploading it directly to YouTube. The YouTube function is great for on-the-fly publishing, and it works well. If you want to save it to you Mac's hard drive, connect the iPhone 3G S and launch Image Capture (in your Applications Folder). Click on the "Download Some" button to reveal the movies and pictures on your iPhone. Movies will have the .Mov extension, and still photos will be .Jpg. 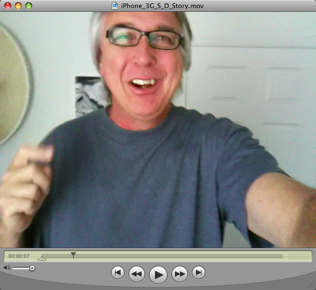 Then, if you want, you can further edit or enhance your video using QuickTime or iMovie. The video plays fine, but it's oriented the wrong way. [What one of our readers pointed out, Alan, is that I confused the sensors on the iPhone by not fully rotating the camera. I hit the record button while the camera was in the vertical position, but then didn't do a clean rotate to the horizontal position.] In an attempt to fix the problem, I downloaded it to my MacBook, rotated it in QuickTime, and got this, but now it's out of sync. So even the simple edit in QuickTime compromised the movie (when publishing on YouTube, on my Mac it plays fine). As Alan pointed out when he commented on this article, you have to be careful not to confuse the sensors. So make sure you're explicit in your movements when holding the iPhone to get the orientation the way you want it. I found the easiest way to do this is simply not rotate the camera once you start recording. If you want a horizontal movie, start that way. Also, I think the video on YouTube actually looks better when you let the iPhone 3G S compress it and upload it directly. When I edited on the computer, just doing a simple rotation command, then uploading to YouTube, things got out of sync. In other words, just let the iPhone do the work, don't confuse its sensors, and you'll be fine. All my monkeying around simply compromised the output. If I just record, trim and upload directly from the device, things work perfectly. When your first mount the 14-42mm micro zoom lens on the Olympus E-P1, you might see this message on your LCD: "Please check the status of the lens." Do not fear. Nothing is wrong. All it means is that the lens is in the "locked" position. The message is E-P1 speak for "unlock the lens." All you have to do is twist the zooming ring to the left until you hear a click. Then lens extends, and you're in business. When finished shooting, there's a little switch on the zoom ring that you hold down while twisting to the right. 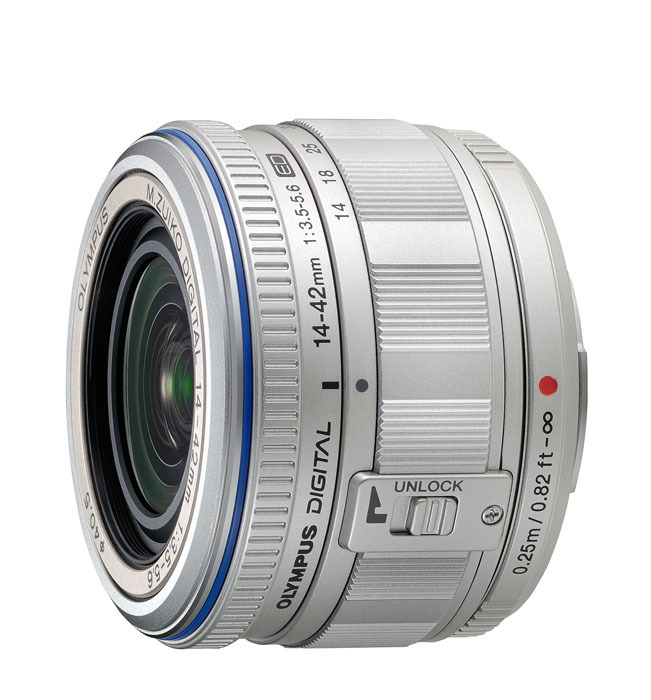 This allows you to lock the lens again so it's as compact as possible. This quickly becomes second nature. But it can throw you for a loop when you first get the camera. If you're interested in the Olympus E-P1, check out my ISO Comparison post. I run at series of photos from the camera staring at ISO 100 all the way up to ISO 6400. I also have a podcast covering the features of the E-P1. I also have a First Look at the Olympus E-P1 article at Macworld Magazine. 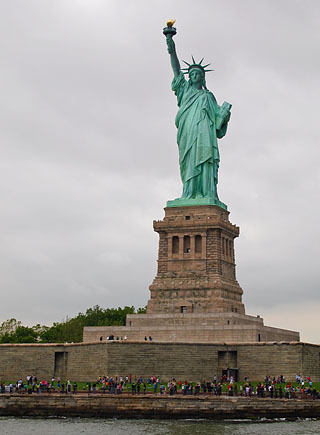 What's More Fun than Shooting the Statue of Liberty? What's more fun than shooting the Statue of Liberty? Taking pictures of photographers trying to get their own shot of the grand lady. 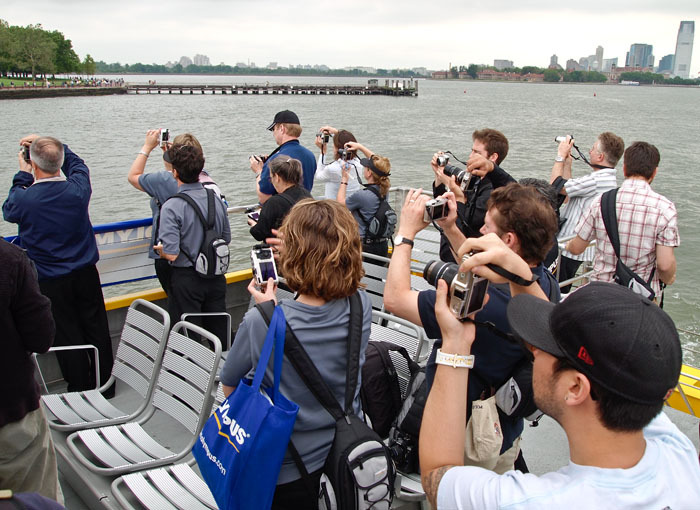 On a recent trip to New York to test the Olympus E-P1, we took a water taxi out to Coney Island. 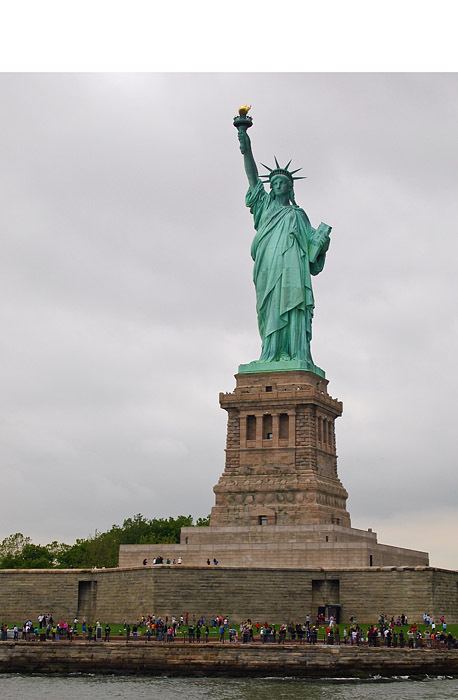 On the way, we made a "drive by" stop near the Statue of Liberty for a quick photo op. It was fun to get my own stock photo of the Statue, but maybe just as fun to grab this candid of the photographers working the shot. As we always say on a photo shoot, after you get the first shot, turn around and look to see what's behind you. Photos by Derrick Story, captured with the Olympus E-P1 digital camera. If you're interested in the Olympus E-P1, check out my ISO Comparison post. I run at series of photos from the camera staring at ISO 100 all the way up to ISO 6400. I also have a podcast covering the features of the E-P1. The number one question I've received since readers knew I was testing the Olympus E-P1 Digital SLR was about its low light performance. So I've put together a batch of images ranging from ISO 100 all the way through ISO 6400 so you can see for yourself how the E-P1 (with new image processing engine) performs. Both Jpeg and Raw (processed with Olympus Master 2 software) versions are included on the Digital Story Flickr page. 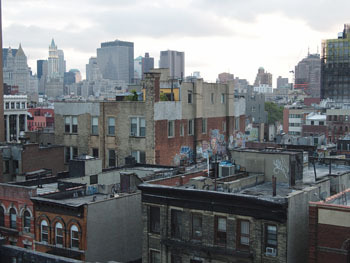 The images were captured in Mahattan's Lower East Side around 8 pm on June 16, 2009. Here's how I took the shots. 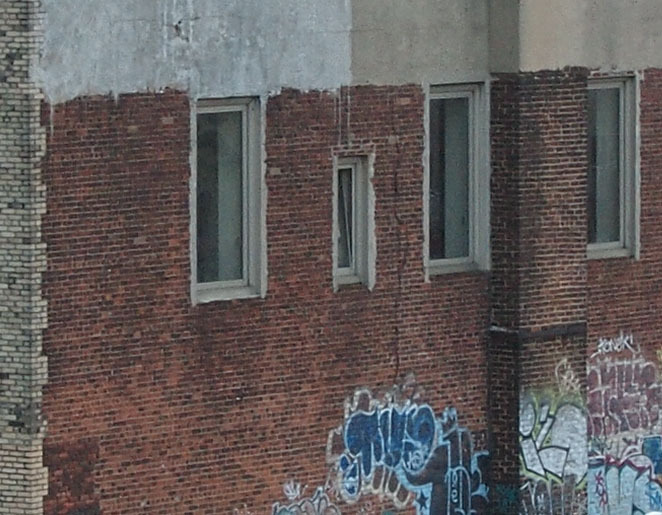 The Olympus E-P1 was on a tripod using the self-timer to trip the shutter. I had the kit 14-42 mm lens mounted using Programmed exposure and auto white balance. I used the Raw+Jpeg recording format. The Jpegs you see on my Flickr page have not been processed. They are full size and straight from the camera. If you click on "All Sizes," you can see the original image at full size. This image was captured at ISO 400 in Raw mode on an Olympus E-P1. Click on the picture to see a 100 percent magnification of a portion of it. The Raw files on that page were processed in Olympus Master 2 using a white balance setting of 7500 K with exposure set to +0.2 EV. Sharpening was set to +1. The images were then exported as Jpegs from Olympus Master 2 and uploaded to the Flickr page without any further editing. In the Raw files, I like ISO 200, 400, and 1600. I haven't done enough testing to understand why there was some smearing at ISO 100 and 800 with the Raws. ISO 3200 and 6400 should be reserved for special situations where getting the shot outweighs its high level of noise. ISO performance is a very personal thing among photographers. Everyone has their threshold for image noise. Take a look at this collection of shots and decide for yourself how the Olympus E-P1 performs in low light. 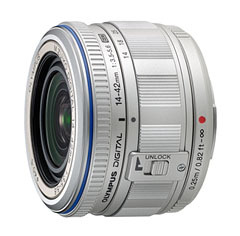 The Olympus E-P1 kit with 14-42 mm lens will be available at Amazon.com for $799 US. If you want to listen to a podcast about the Olympus E-P1, check out Meet the Olympus E-P1.